Waterfall Info: This waterfall is the most notable drop on the South Fork of England Camp Branch and arguably the most impressive drop in the England Camp Branch watershed. Downstream from this waterfall is a small but very scenic cascading drop pictured farther down this page. There are other scenic waterfalls on the North Fork of England Camp Branch. See the map below and see those waterfalls' separate listings. Access Info: An unofficial trail begins on the south side of Low Gap Creek at a hairpin curve just past the second creek crossing along FS 44A near Low Gap Creek Campground. 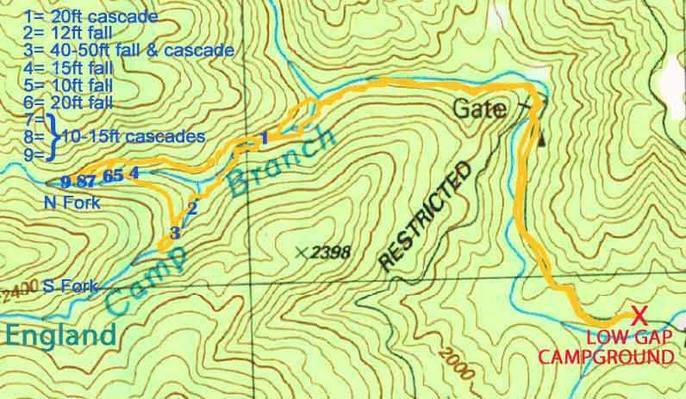 The faint trail follows Low Gap Creek upstream to the England Camp Branch confluence. 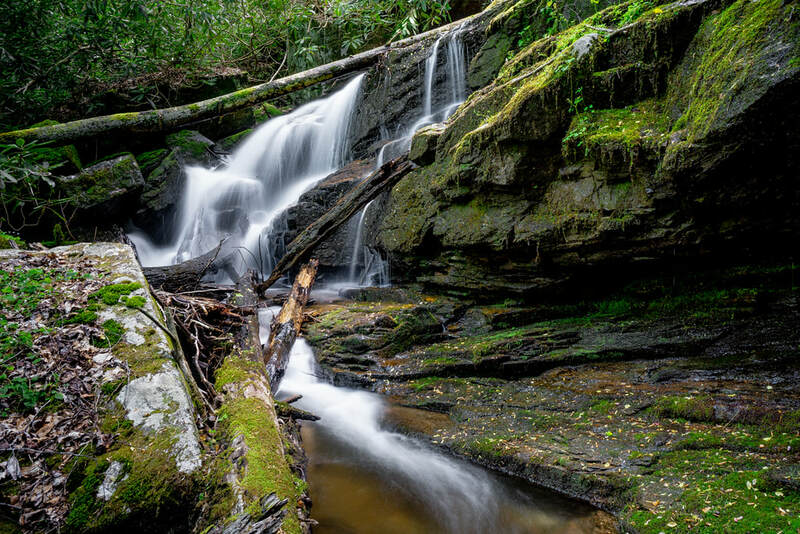 There, the trail crosses Low Gap Creek and leads to Low Gap Creek Falls. 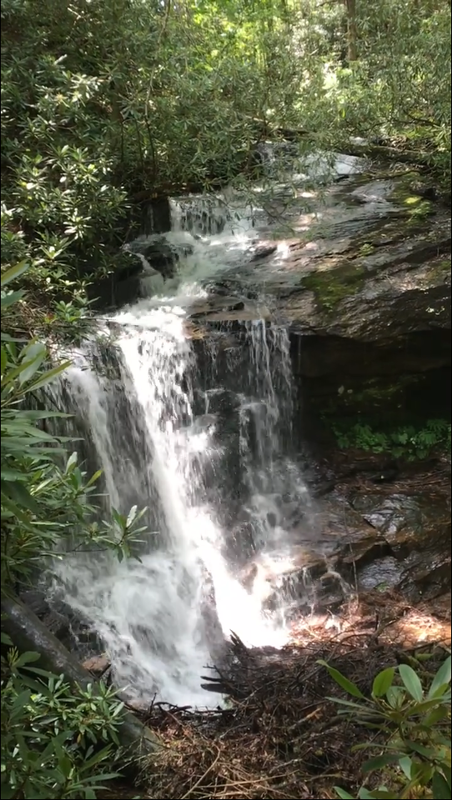 To see the England Camp Branch waterfalls, however, bushwhack upstream along England Camp Branch to the confluence of the South Fork and North Fork (two equally-sized streams). Stay left and bushwhack along the South Fork - the first drop you'll come to is the small but scenic cascade pictured farther below. The main waterfall (England Camp Falls) is not too far beyond the cascade.